We spend a lot of our time wondering what God’s will is for our lives. I think it’s one of the most common questions people ask me. “What does God want me to do?” And many times it’s a legitimate question. We’re seeking God for his guidance in a particular situation, or wisdom in how to act. But in so many other instances, God has already told us how to live. Micah 6:8 is one of those verse that spells out so clearly how we are to live and what God requires from us. Even if we just applied these three principles to our difficult situations, the clarity of God’s call for our lives would be obvious. 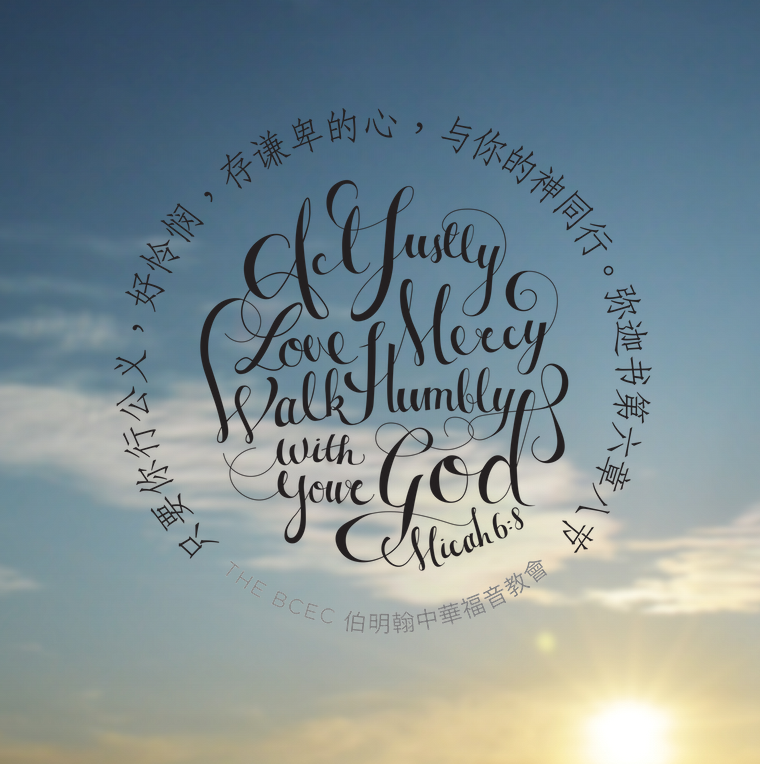 Are we acting justly, full of lovingkindness, walking in humility with God? This year at the BCEC, this is the verse that I hope will resonate with us all year through. It’s not just enough to say we’re Christians — we have a duty, a responsibility, a calling — to do justice, to love kindness, to walk humbly with God. Throughout this year we’ll be challenging one another to do so, across generations, within our peer groups, and to the world around us. So commit this verse to your minds and your hearts, as we journey together in 2015.